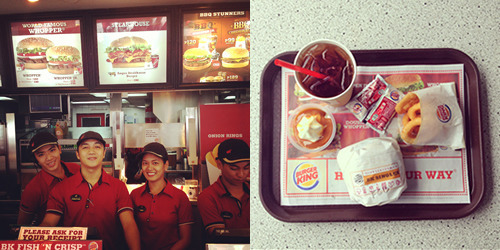 After a hard day’s work, I felt the urge to reward myself with a personal comfort food—a burger. I heard about Burger King’s NEW BBQ Cheeseburger Stunner Meal and decided to try it out to know what the fuss was about—and true to its name, I was stunned! 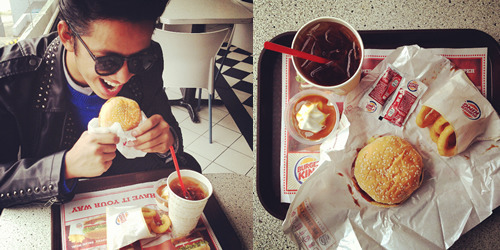 Burger King is comfort food for me. 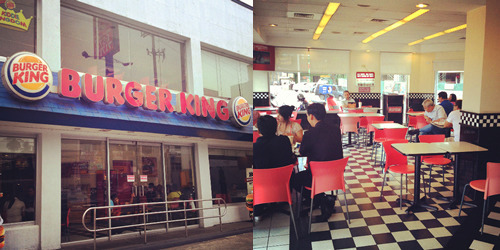 Nothing beats devouring the good ol’ Whopper after a tiring day. 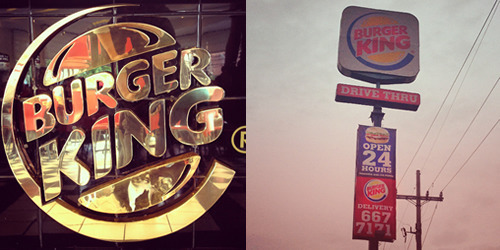 Not to mention that Burger King is my favorite cinema snack! The NEW BBQ Cheeseburger Stunner Meal is perfect for students who are on a budget. For only Php99, you get a flame-grilled cheeseburger served with small fries (or onion rings), a regular drink and a mini sundae (chocolate or caramel). I came from a shoot that’s why I was a bit overdressed! Haha! Here’s a great deal for you and your barkada! 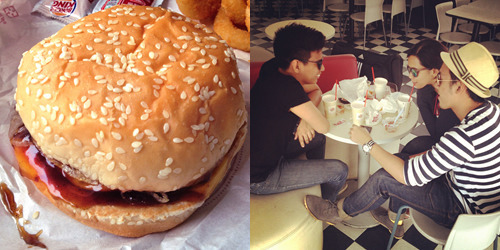 Get two (2) BBQ Cheeseburger Stunner Meals for only 189 pesos by ordering the Stunner Duo Meal! Now that’s a good buy! The burger, although a bit small for me (but then again, I have a huge appetite), was very filling. The flame-grilled patty was juicy and saucy. It was covered with perfectly brown onions, juicy barbecue sauce and cheese that melts in your mouth! I am stunned! 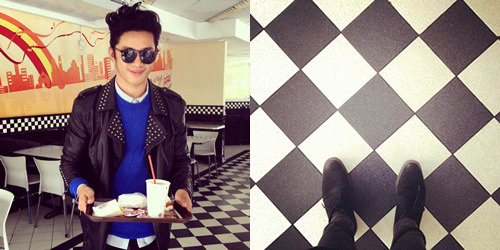 Burger King will always be my happy place! Take your friends with you on your next visit and be stunned!